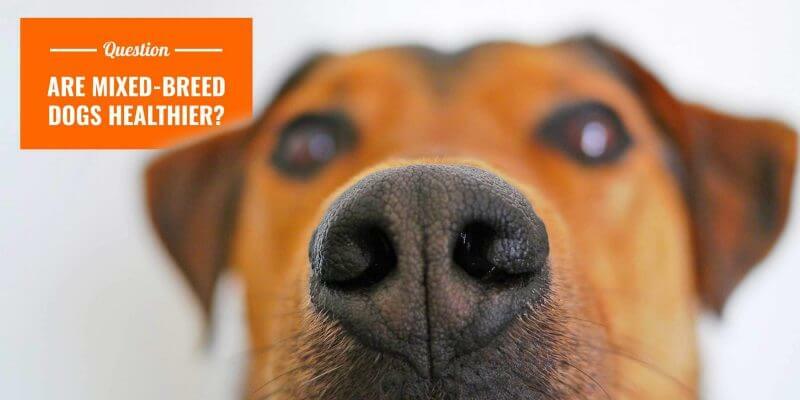 Are Mixed-Breed Dogs Healthier? — Yes, But it's Complicated! Why are mixed-breed dogs healthier than purebred dogs? Mixed-breed dogs are generally healthier than purebred dogs and tend to live longer too due to a stronger genetic diversity. 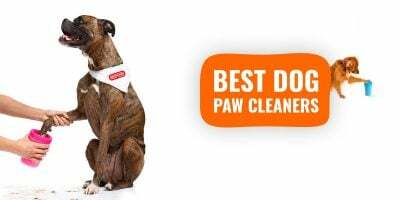 However, purebred dog breeders can improve their bloodline’s health using modern genetic testing tools. Purebred dogs have much smaller gene pools than mixed breeds, therefore, the genetic diversity is de facto more restrained and limited. Additionally, purebred dogs cannot be outbred in order to remain pedigree dogs, so the overall breed’s gene pool is bound to shrink over time. Due to this, the purebred dogs tend to fall victim to common recessive disorders that are common in the practice of inbreeding. The fact is, in order to verify the validity of such controversial statements, research over a period of years would have to be conducted with the results carefully analyzed. Many purebred dogs end up living very happy and long lives and the very same holds true for mixed breeds. Therefore, it bears the question of how one would determine if a genetic malformity is due to the true breeding of a dog. 52% of genetic conditions showed no difference in comparison. It really is not a difficult breeding concept to comprehend once one is familiar with the concepts of the Mendelian inheritance. We know that genetic material is passed down when dogs are bred together, half from the mother and half from the father. After decades of matings in a closed gene pool (i.e. purebred dogs), the chance of genetic disorders being passed down to the offspring caused by recessive mutations increases. In general, all it takes is one defective allele for the disorder to appear. Recessive diseases are caused when an offspring inherits two of the defective genes of the allele, one from the mother, and one from the father. Therefore, the more frequent the interbreeding of a line of dogs that have the tendency to bring forth such an allele, the greater the chances that it will be passed on, as opposed to introducing new blood into the line (e.g. mixed breeds and mutts). Hybrids are those dogs that have been introduced into an existing line of dogs, therefore are outside of that particular closed gene pool. They are less likely to inherit defective traits of the passed down alleles. Over time, the mating process within these mixed breeds naturally leaves out the unwanted, defective genes. 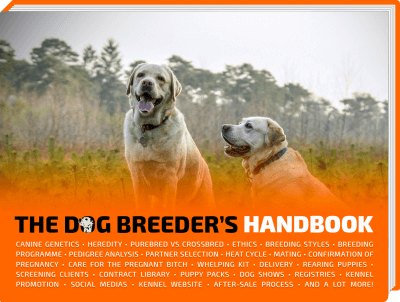 This is because suddenly, a dog with a recessive gene has all the other dogs to select as a partner. So the chances of finding a carrier drop. All other conditions point to purebreds being more susceptible to being the victims of. Certainly, purebreds are more likely to be afflicted by cases in which genetic disorders are caused by single recessive mutations. All in all, genetics do play an important factor, as well as provide a base of reference for future disease. 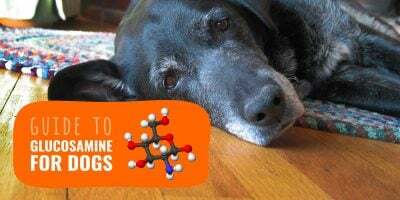 However, canine genetics are not the only variables in determining the health of a dog. Other factors involved that should be considered include nutrition, exercising, and socialization issues in which purebreds tend to fair better than the mixed breeds. 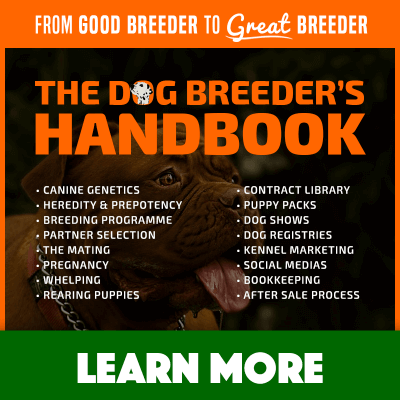 Furthermore, mixed breeds tend to suffer more from infectious disease rates at the time of their adoptions considering purebreds are often purchased directly from a dog breeder. Of course, there is also the puppy mill factor in which many mutts are taken to their homes already with health issues. 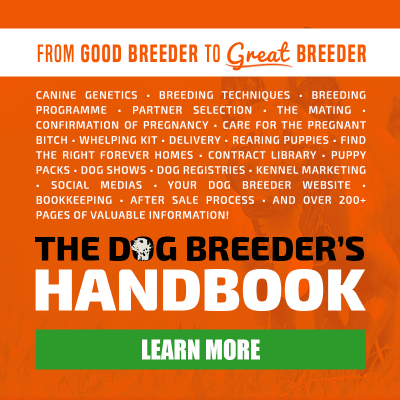 Breeding is a business and it is a business that is directly dependent on the health of your breeding stock, and the puppies produced. Therefore, what a dog breeder introduces into their bloodline will determine the direction in which their business will flourish, or perish. In the breeding world, one must become intimately familiar with the ins and outs of canine genetics and its consequences over the years. Example of a large open gene pool and several closed gene pools. A gene pool is an abstract concept represented by the entire genetic material found within a group of beings, called a population (e.g. genetic pool of purebred German Shepherds). A population is made up of various individuals of the very same species. In other words, the gene pool is the sum of the alleles within the genes of a given populace. Gene pools never stay the same and naturally change at every breeding: two parents give some of their genes to their offsprings, but the offsprings will shuffle these genes up. There exists either an open gene pool or a closed gene pool. The first allows any being outside of the mentioned group to enter the pool (e.g. mutts), while a closed gene pool is limited to the current group and their offspring, forbidding any external blood to enter the pool (e.g. pure breeds). 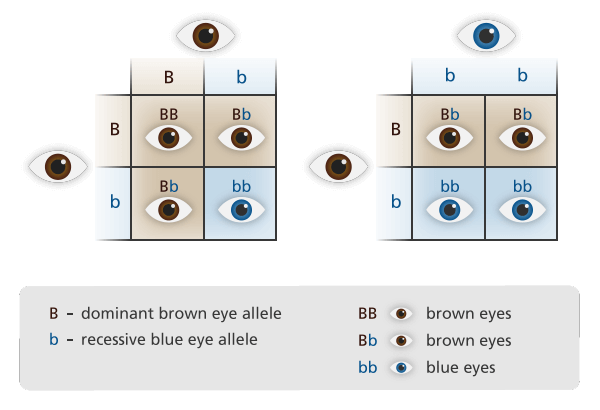 Mixed breeds have an open gene pool in which the genetic variation is greatly expanded, and expands further over time. They have the entire canine population to breed with, thus providing a wide pool. In this form of breeding, nature is prompted to take its natural course in the selection of species, which in turn, helps to strengthen the species. On the other hand, purebred dogs have a closed gene pool which makes them limited to only their group and closes the gap to outsiders. These do not offer variation within the breeding line and is what you would consider, a very limited pool of genes that are kept only within their line of breeding. Closed gene pools eventually become too small over time due to not having any external, outside blood being introduced within. Over several generations, small changes in a gene can happen due to various reasons such as the mutation of a gene, or an error during the division of a cell. These changes will ultimately change the dynamics of the pool eventually, once the carriers breed with other specimens and the “errors” get introduced to more and more dogs. This can be good or it could be bad depending on what mutations occur, and what genes get passed down. In a closed gene pool, traits and genes are more controlled and less diverse. It is desired so results of any breeding within that pool results in a somewhat similar phenotype. This is the reason why breeding two Poodles results in the birth of dogs that will look like Poodles. However, when the gene pool shrinks too much, this is bad news for future generations. It causes low hybrid vigor (heterosis) and causes low fertility, deformities, and genetic diseases. If it gets too bad, the extinction of the species is a real possible outcome. Larger gene pools are associated with more robust specimens that tend to survive the selection process more readily. 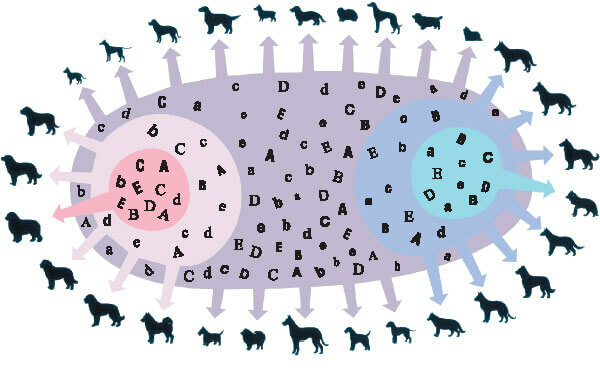 In dog breeding, the pangenome is the entire set of genes of all the strains of a particular species, The core genome is the present and current genes. While the variable or accessory genome refers to those missing genes not present at all. In an open pangenome, the numbers increase within multiple environments as genetic material are constantly exchanged, thus expanding. In a close pangenome, strains are unable to produce new genes for the species. Technically, a gene pool will increase when a certain mutation changes a gene and that particular mutation survives. It will decrease when an allele dies. Dominant alleles are always expressed in the organism, while recessive traits tend to be expressed only when the dominant allele is not present. The relationship between dominant and recessive genes is described by the Law of Segregation. The life expectancy of a mixed breed dog can often be determined by his weight. 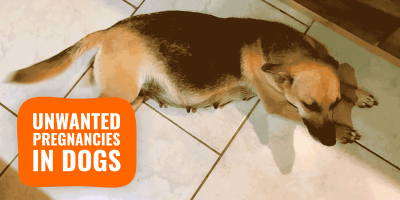 Dogs that weight under 20 pounds are expected to live 11 years, on average. Dogs weighing over 90 pounds live on average 8 years. Large and medium dogs live around 11 years on average. The average lifespan of a purebred dog is about 12 years based on the means. It varies from one type to the next and here as well, larger breeds tend to live shorter lives than smaller and medium breeds. For example, Golden Retrievers, Labradors, Beagle, and Pekingese all share a common 12-year lifespan while some have a bit shorter spans such as the Boxer, French Bulldog, Rottweiler, Saint Bernard, and Chow Chow with 9 years. Other breeds have a big higher lifespan such as Shih Tzu, Toy Poodle, Border Collie, and Dachshund all averaging out 13 years total. In retrospect, the life expectancies are not too far apart from each other.